Dr. Atul Keshavji Shah is a creative social inventor and entrepreneur with distinguished skills in business and media. He graduated from the London School of Economics, obtaining a Bachelors degree (First Class), a Masters, and a PhD. Atul is founder of the internet portal diverseethics.com. He is Indian by culture, African by birth and British by citizenship - a diverse personality. Atul is also a qualified Chartered Accountant having trained with KPMG and has worked for various charities and public institutions. He was Lecturer at the University of Bristol, University of Maryland – USA, and University of Essex. He is the founding editor for the distinguished Jain Spirit international magazine and transformed the global awareness and perception of the Jain culture. Atul is a regular broadcaster on BBC Radio 4, BBC World Service and BBC Asian Network and helped launch the BBC website on Jainism. Through his media work, Atul has developed exceptional contacts in the UK and around the world. In 2005, he was shorlisted for the UK Asian Media Achievers Award. 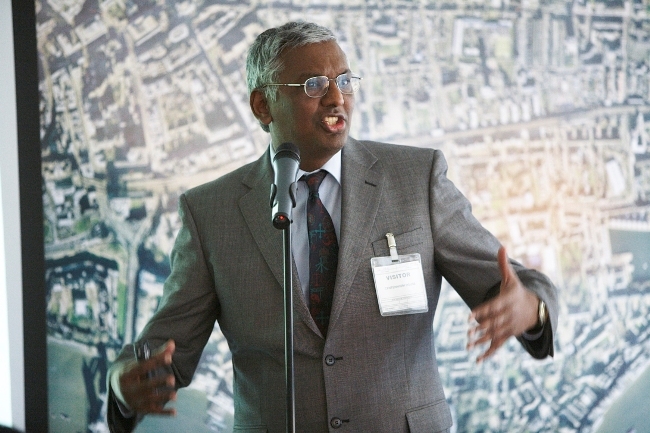 He is author of 'Celebrating Diversity - How to enjoy, respect and benefit from Great Coloured Britain' published by Kevin Mayhew Publishers, 2007 and also wrote 'Social Cohesion - A Jain Perspective' in 2008 (jointly with Dr. Aidan Rankin) and has written hundreds of articles in professional and scientific journals on a range of topics from ethics to finance and diversity. Dr. Atul Shah is a sought after public speaker and commentator. in 2010, Atul completed an epic Masala Tour of Britain, travelling 1500 miles and showcasing the fusion of East & West through the stageground of Britain. There are 77 You Tube videos on this tour. Presently, he is Vice-Chairman of the National Council of Faiths & Beliefs in Further Education and a secondee to the Board of the Museums, Libraries and Archives Council. To view TESTIMONIALS of Dr. Atul Shah and his work impact, click here. Here are the public profile and testimonials on Linked In. To watch him speak on video, click here. You can contact him now via email or call him on +44-7804294903. Profile of Diverse Ethics in Lifescape Magazine - Dr Atul K. Shah comments on eco-living from the Jain perspective. ATUL ON SUCCESS - Profile interview of Dr. Atul Shah in 'Footprints on the Moon' (2011). National BBC radio broadcast on Navratri - Hundreds of people have gathered in Colchester to celebrate the ancient Hindu festival of Navratri, signalling the beginning of autumn.